On May 29, 2018, the Salinas City Council held a “study session” on its Fiscal Year 2018-19 Operations Budget and its Capital Improvement Program Budget. See video here: Salinas City Council – May 29, 2018 – Study Session on Budgets. 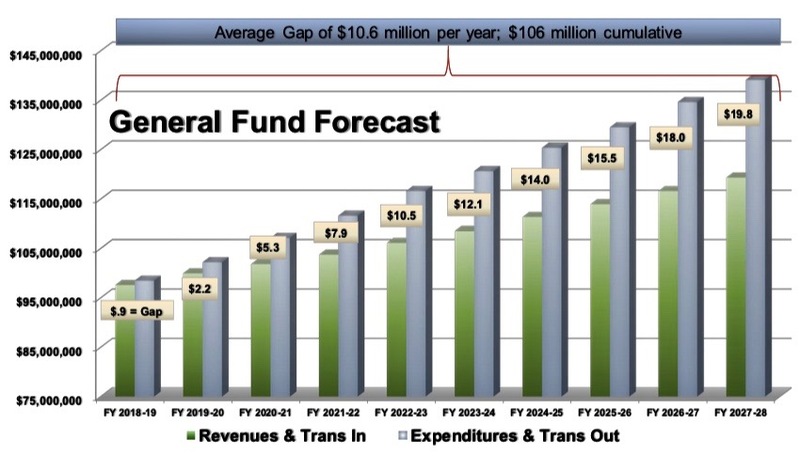 City of Salinas Budget Deficit Outlook 2018-2028 with $106 million cumulative budget deficit.